I’ve been sewing a lot in the last month or so – building up for the 21st annual Powderhorn Art Fair. I’m pretty excited about the fair. It’s a great weekend with tons of people in a beautiful setting and lots of great artists. Hope you will be there! we’re excited to protect your toaster! Which gets me to thinking about chickens… At some point recently I was thinking I should have called my business The Ubiquitous Chicken… instead of From the Homestead. I mean, neither one is particularly descriptive of anything so that doesn’t matter. And The Ubiquitous Chicken is kind of fun. But how many people can pronounce (or want to try pronouncing) “ubiquitous”? And spelling it? Ugh. It’s still there in the back of my mind though, partly since I make so many chicken-y things. 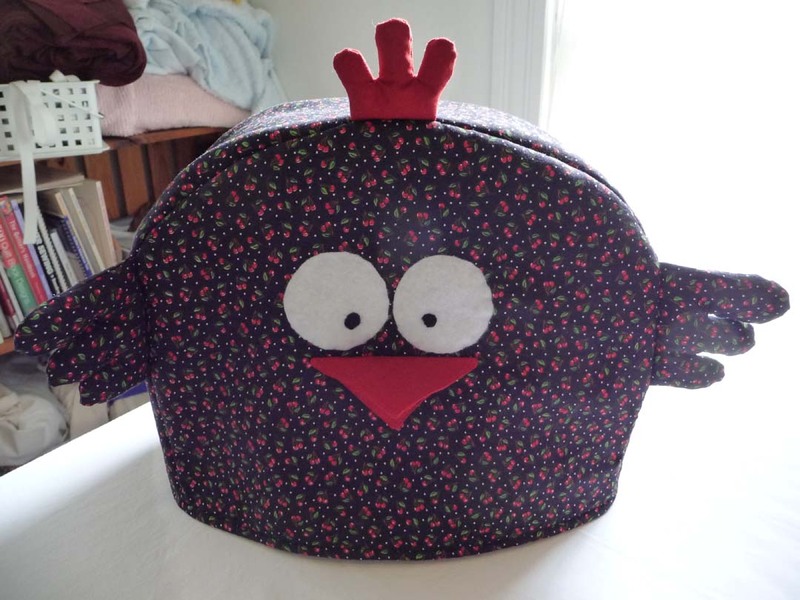 There are the toaster covers, tea cozies, occasional tote bags and other items with chicken prints, etc. 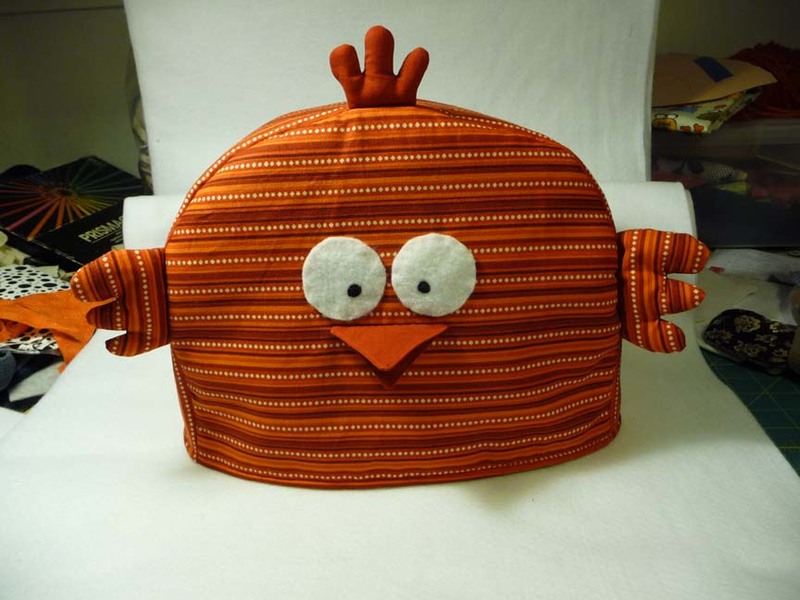 Hmm, and now it seems I’m sort of branding my blog and Etsy shop with one of those (ubiquitous) chickens. I can’t help it! He’s just so cute! So, chickens abound. But… I just don’t know. The Ubiquitous Chicken? What do you think? 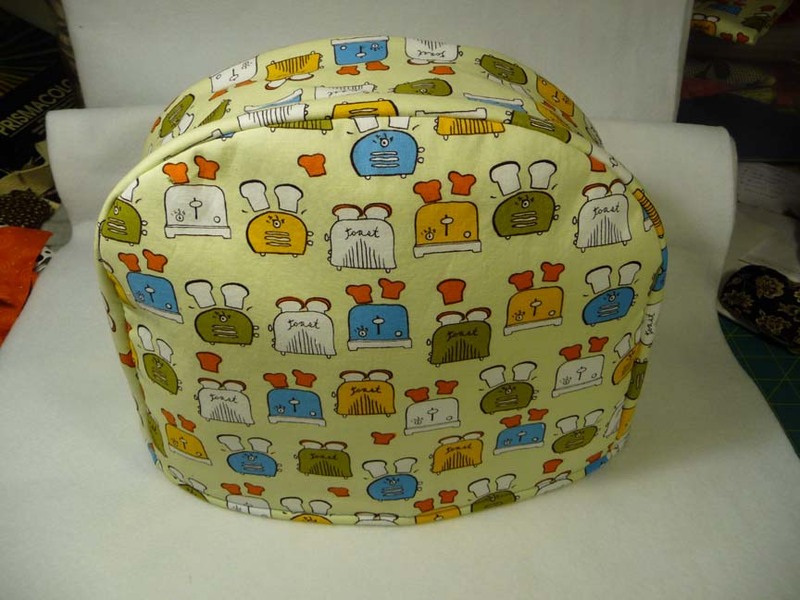 These debuted on April 30th at Craftastic: toaster covers! Okay, honestly, I think toaster covers are a little silly. I got asked almost every week last year if I made toaster covers. I guess more people have toasters than teapots! Why can’t people just be happy with what it is you’re selling!? Perhaps they think they are being helpful, I don’t know. I find this a bit annoying, but after listening to people repeatedly recommend this one particular item for months on end, I decided to give it a try. I worked for a couple days on one prototype in January and it failed miserably. It just didn’t work out, so I gave up on that idea. (I know – so easily!) But then another crafter asked me about making a toaster cover, so I gave it another try. And this time I figured out a design I liked!